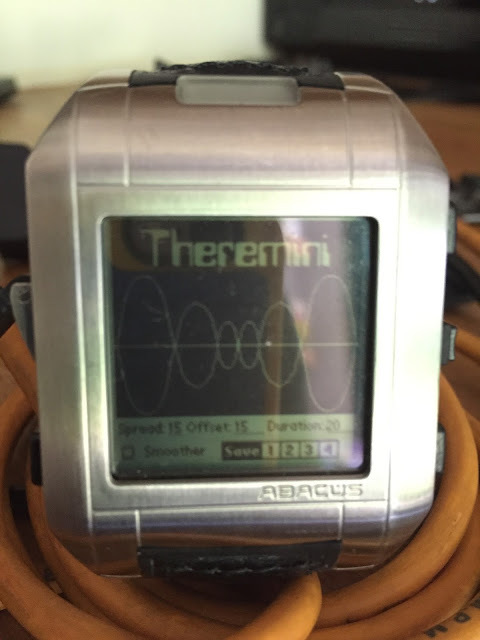 The first app I loaded onto the Fossil was of course Theremini. If you don't know Theremini it's a theremin type app that makes a sound based on stylus input. I got it loaded via a beam with no problems, but sadly the app doesn't work on the fossil. That is to say it works, but it makes no sound at all. It's a little set back, but not the end of the world at all. It's a shame, but I'm going to try some others too.